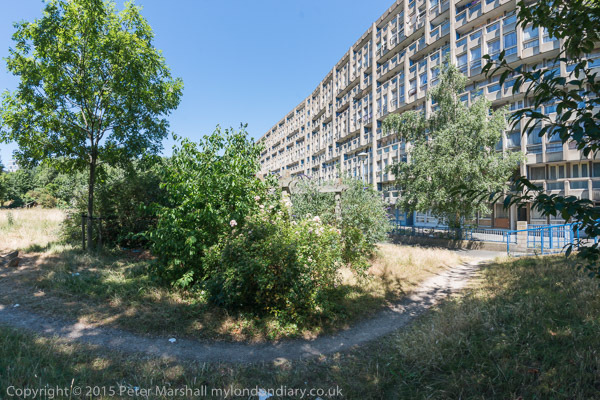 I’m sad that Robin Hood Gardens is doomed. Sorry for the loss of what I think is a fine architectural solution to a difficult site next to the Blackwall Tunnel approach, and also for yet another loss of social housing in London, at a time when there is a desperate shortage of low cost housing in London, resulting in most of those who work at the essential low-paid jobs that keep our city running being unable to afford to live in it. I think the decision not to give the estate listed building status was wrong – as too was the failure to list the Heygate Estate at the Elephant, built as around 1200 council flats and maisonettes while its replacement will have virtually no truly affordable properties. 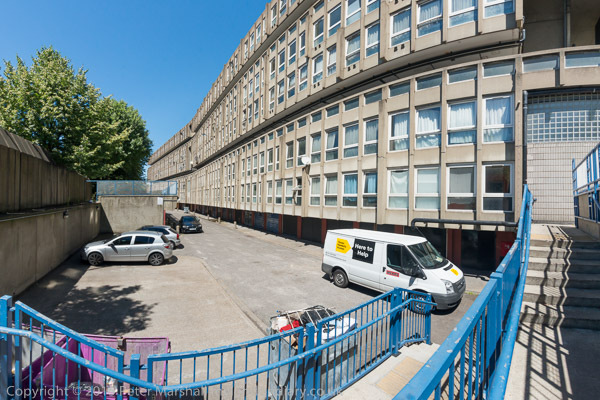 Robin Hood, like Heygate, attracted a great deal of praise when it was built, designed by architects Alison and Peter Smithson and completed in 1972. It was a shame that it’s ‘streets in the sky’ ended up a little less wide than they should have been, but it is still a remarkable property. 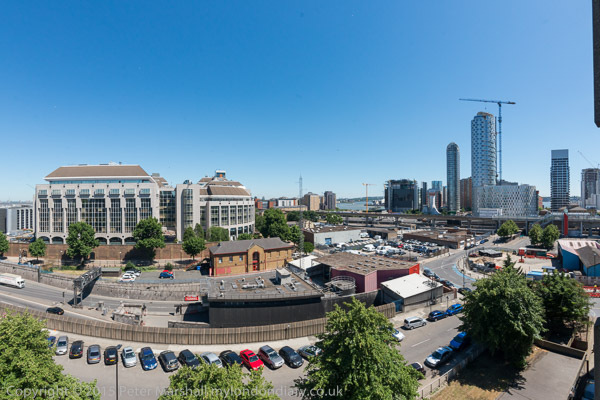 The plan – like many at the time, was for a fairly low density development, with the east and west slabs enclosing a large green space, a surprisingly quiet oasis in inner London, just a few yards from the busy Blackwall Tunnel Approach. The flats, like those in other developments of the time, were large and airy, and had it been a private development the two-storey maisonettes would now be worth approaching a million pounds. But several things conspired against it. 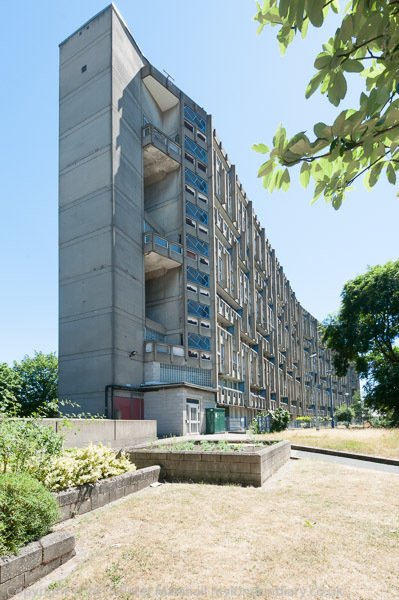 Some people found its Brutalist design unattractive and the lack of necessary upkeep by Tower Hamlets council led to problems, exacerbated by the council moving in problem residents, using it as a sink estate. The real killer – of this and other council estates – came with Thatcher and the right to buy, both losing social housing and complicating management. And it is the commitment both to relatively low density and generous property sizes that make it and other council estates such an attractive proposition to investment-fuelled property development in London. It doesn’t after all matter if a property is meanly proportioned and in a poorly designed environment if you are not going to actually live in it, but simply buy it for the high increase in property values year by year in London, or are going to let it to others who are prepared to pay high rents to stay in London. 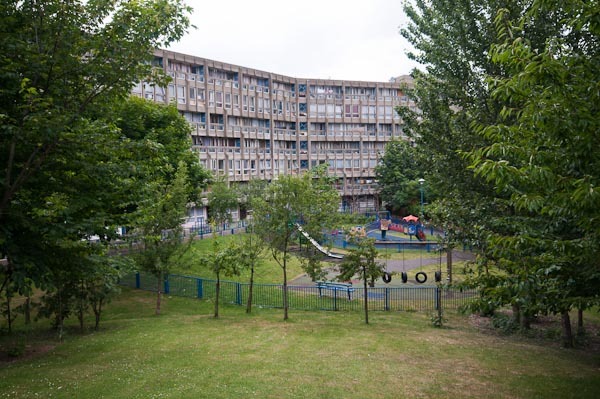 The proposed redevelopment covers a rather wider area than Robin Hood Gardens, and according to the proposal with provide over six times as many housing units, with around 40% of these being social housing or shared ownership. Of course many such proposals have ended up with delivering far smaller number of social housing units than originally promised, with a get out clause allowing developers to evade their obligations on the grounds they say it would be uneconomic – that is, that they would not get enough profit. I first photographed Robin Hood Gardens back in the 1980s, but only took a few pictures. I returned in http://re-photo.co.uk/?p=674 2009 on a walk around by Bridget Cherry, who together with Charles O’Brien and Nikolaus Pevsner wrote the definitive volume on the architecture of East London in the ‘Buildings of England’ series. 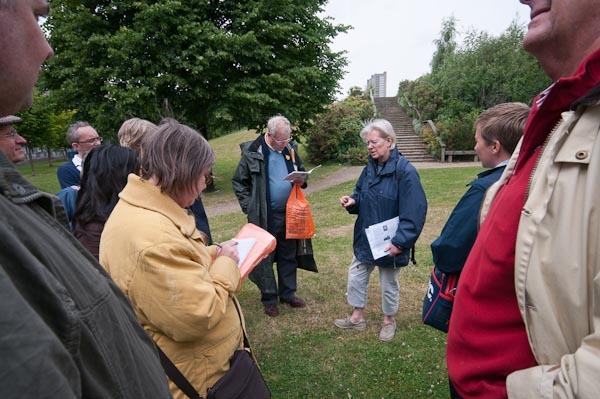 Back in 2008, the local council claimed that in a consultation over 75% of the residents wanted the estate to be demolished, but a survey the following year by residents gave a very different picture with over 80% of residents wanting it to be refurbished. Rather curiously exactly the same results were also claimed by Soutwark Council and residents over the Heygate Estate – and a rather similar result also for the Aylesbury Estate. Some councils certainly employ PR firms to provide them with the results that they want, rather than seriously to carry out consultations. Work was taking place on the western block of the estate when I visited and I was unable to obtain access. I didn’t try too hard as the light was coming from the wrong direction to work from the ‘streets’ there. Some flats might still have been occupied, but it was not possible to be sure. The gardens which had been well-cared for on my 2009 visit were overgrown, but there were some signs suggesting they had been worked on earlier this year. But the whole of the eastern block seemed still to be occupied, and I was able to make my way up to the topmost ‘street’ and walk along it and make photograph from it. The lifts were still working but I went up by the stairs to see if their were any opportunities for photographs on the way up, but views out of the building were very limited. 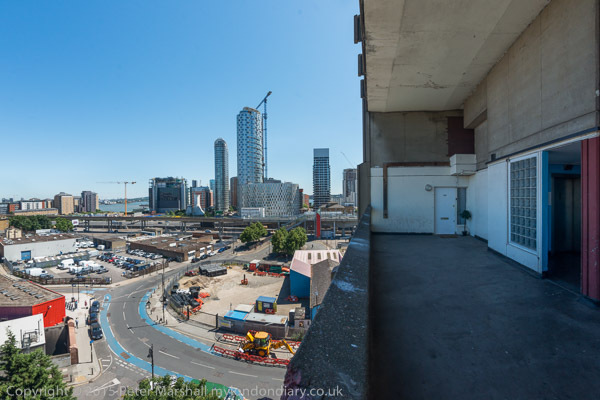 However from the top street there were good views over the Blackwall Tunnel Approach and across towards the River Thames and beyond. 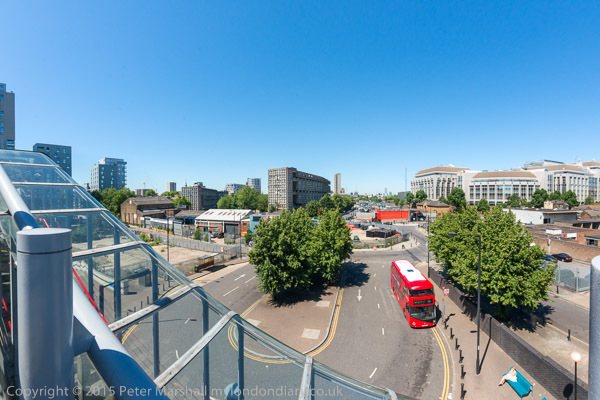 Both from the top deck and at ground level, most of the photographs I took were made using the the Nikon 16mm fisheye lens, which gives a horizontal angle of view of around 146 degrees. With this on the D800E at ISO200 produces extremely detailed files, typically around 7,200 x4,800 pixels after minor corrections, giving a potential print size at 300 dpi of around 24 inches wide. The D800E does allow you to work at lower ISO, but there is really no point in doing so. I think the sensor basically works at the same base ISO – ISO200 – but then simply amplifies or diminishes the signal to give the required ISO. Usually I make these images with the intention of conversion from fisheye to cylindrical proportion, and cropping the 1.5:1 aspect ratio to around 1.9:1 format. In the viewfinder it is easy to visualise the horizontal scope of the image, as the conversion retains the centre of each side, but allowing for the vertical cropping is rather more a matter of guesswork. This approach also give a post-processing equivalent of camera movements, equivalent to a fairly small amount of rising/falling front. Most of the images that I put on the web however show the full 1.5:1 image uncropped. Also from my elevated position I took some view with a narrower angle using the 18-105mm DX lens, as well as some images with the rectilinear 16-35mm on the D700. I’m unlikely to have the chance to photograph from here again. This entry was posted on Wednesday, October 14th, 2015 at 08:19 pm and is filed under Uncategorised. You can follow any responses to this entry through the RSS 2.0 feed. You can leave a response, or trackback from your own site.